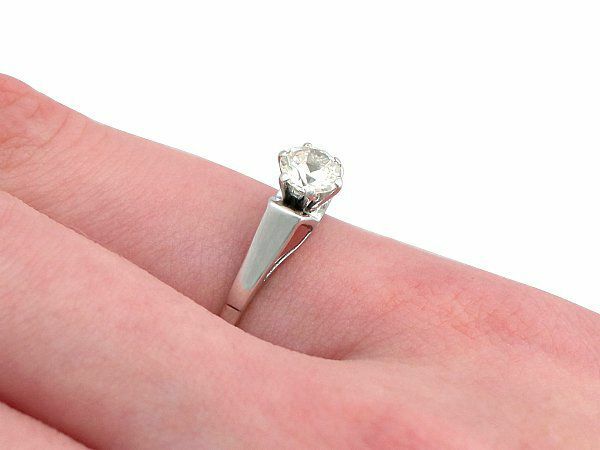 This impressive diamond gold solitaire ring has been crafted in 18 ct white gold. The vintage 18ct white gold, diamond solitaire ring features an antique 0.59 ct Old European round cut diamond set in relief within a six claw setting. 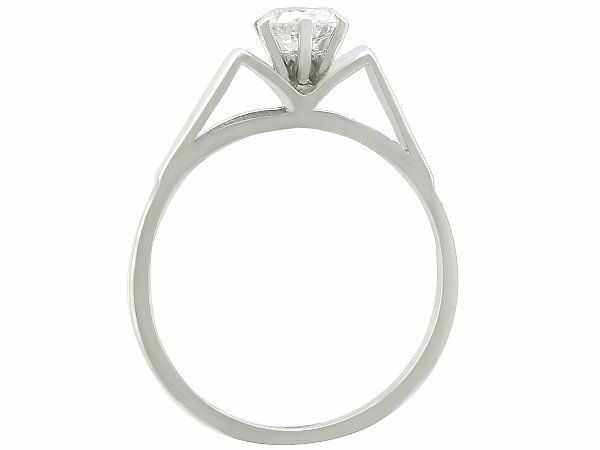 The angular,elevated, pierced decorated ring shoulders integrate with the setting, supporting the underside of the diamond in a 'V' shaped formation. 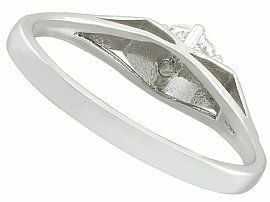 The feature shoulders blend seamlessly with the plain 18 ct white gold shank. 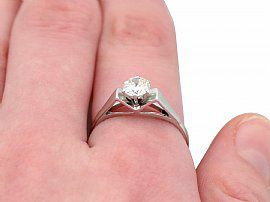 This vintage 18ct white gold diamond solitaire ring is supplied with an independent diamond grading certificate. 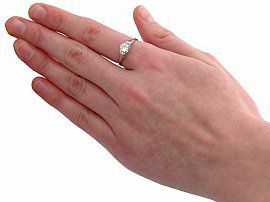 The vintage 18ct white gold solitaire ring is a very good gauge of gold and is in excellent condition.